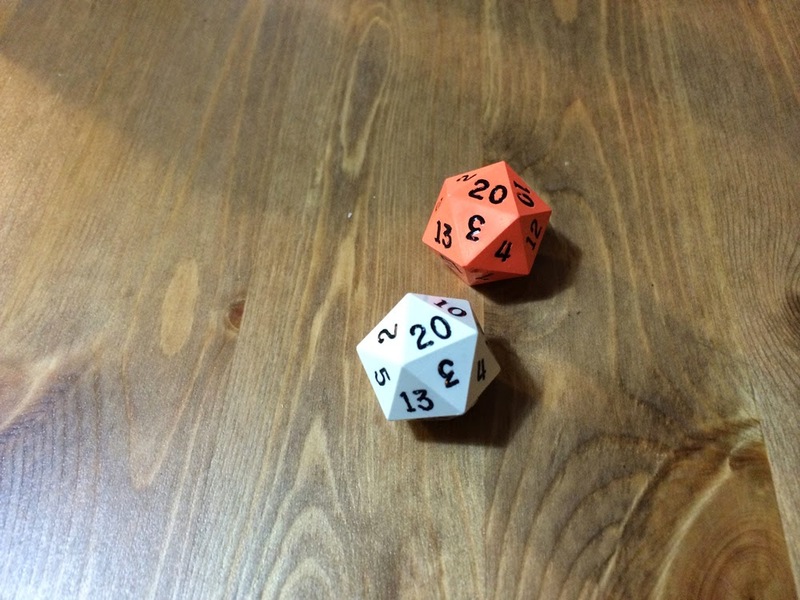 Adventures in Narr: And the Dwarf is Down. Again. And again. And the Dwarf is Down. Again. And again. After a swift melee with some kobolds that saw two of them escape into the bowels of the earth, the party decided to give their dwarf warrior some time to recuperate (and wake up). After bandaging up his head that had been pelted with sling stones, they set of down a long, dark stone staircase after their quarry. A faint, flickering fire light could be seen far below, so Grabby decided to stealthily make his way down to scout it out first. He entered a 30x30 foot room with a statue of a dwarf warrior in the middle and a set of double doors leading out. Off to the side was a small camp site, consisting of a small camp fire and an iron pot hanging over it, with a bubbling, foul smelling sludge, that seemed to contain insects and rat parts (and anything else kobolds could find to eat). Deciding it wise, Grabby decided to try the revolting stew, despite it assaulting his senses. He immediately regretted it. 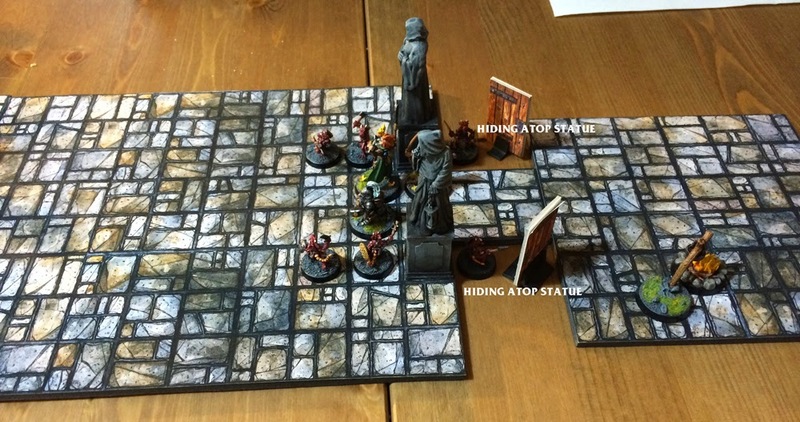 This led them into a massive dwarven hall, with a well in the middle of it, and statues of dwarves holding lit torches that stood on either side of the doors at either end of the hall. Broak and Audrey entered first—the kobolds knowing that their home was under attack—were waiting in ambush. ...hit. This was enough to bring down the mighty first level tank and damage his armour (House Rule: crits from piercing weapons reduce AC by 1 until a short rest can be made to repair the damage.) From here the party retreated back into the entry room with Grabby dragging the unconscious and bleeding Broak by his ankles (and, feeling ill from his "kobold stew" dribbled some vomit onto Broak's mighty beard), but not before Audrey once again was struck by a jar-o-insects. Before the doors could be closed, the kobolds managed to whip off a few sling stones, unfortunately, one critically failed and pulled a "Wicket", ultimately killing himself with his own sling, and Ander managed to fell one with an arrow. 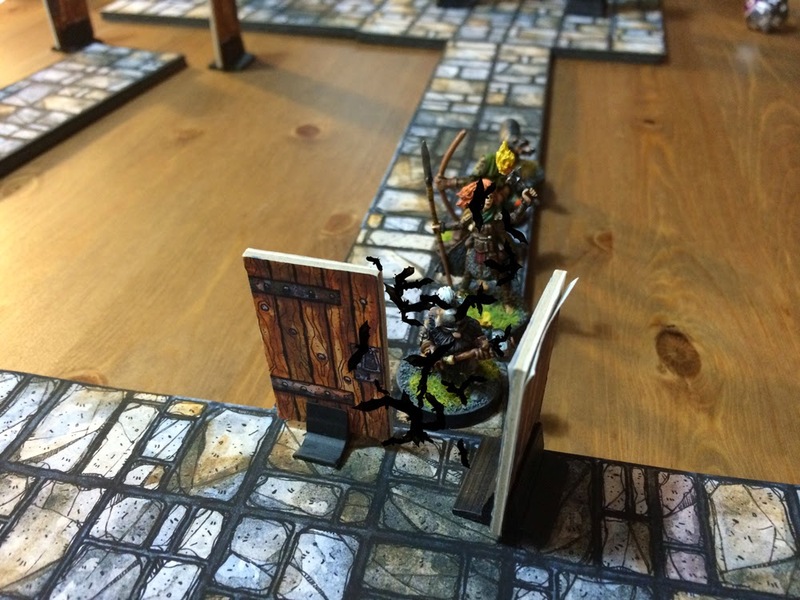 Cracking the door open after hearing the kobolds retreat, Ander spotted a lone kobold attempting to loot his fallen allies, only to killed himself. 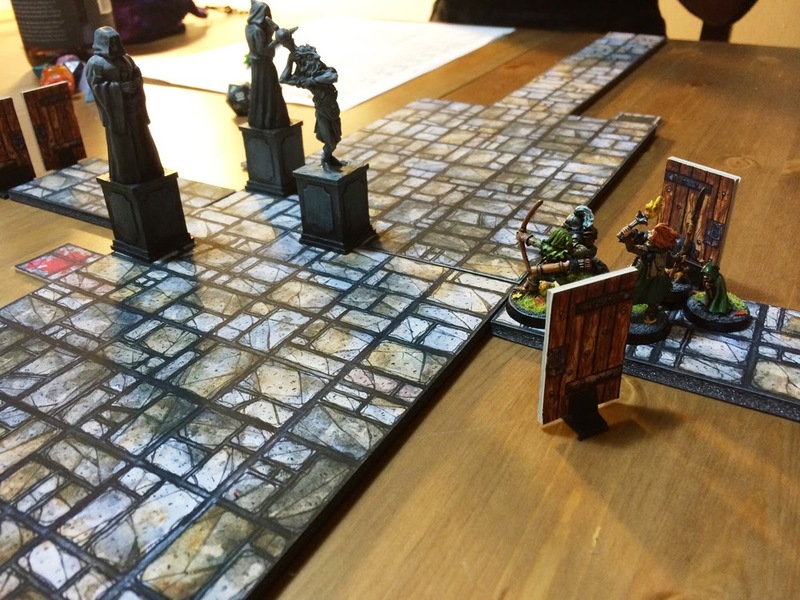 At this point the party barricaded the doors to take a full rest to recover from their harrowing encounter with six kobolds, and to curse being first level. After all, it was midnight anyway. During their rest I allowed the party members to level up (except for Audrey), and Broak recovered once again from his near-death injuries, and Grabby was feeling much better (but there was a corner in the room that they don't talk about in polite conversation). Early in the morning (they assumed, they were in a dungeon) they proceeded cautiously into the great hall. Scattered about the hall were the remains of a once great banquet table, and Grabby examined the well in the center of the room, seeing (and smelling) stagnant water at the bottom. There were also several small "kobold holes" in the walls that the kobolds had dug out themselves to navigate between rooms that would be too small for most others to attempt to crawl into. They decided to enter the double doors to the east, to check for traps Broak decided to try to "skip" a throwing axe along the flagstone floor. 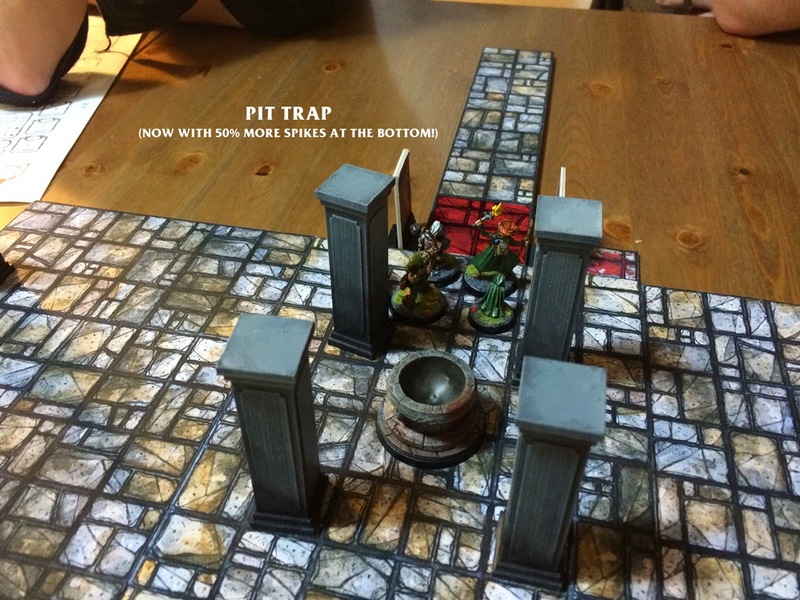 Deeming it safe, he decided to lead the party on... and that's when he fell into a carefully constructed pit trap. Once the dust settled, the party leaned over to see a ten foot pit, filled with wooden spikes sticking up out of the floor—and Broak lying unconscious (again, he still hadn't fully recovered) on the ground, with a spike driven through his leg. After hauling him out and give Broak a healing potion that Grabby was carrying, they decided to try the west doors, and this time Ander would lead the way. Carefully they made their way down the corridor. Ander triggered a trap that set of spring loaded spears in the walls to shoot out, which he managed to avoid. In a show of strength that ended in a stalemate, Audrey and Broak both broke the spears off in hopes of proving who was mightier. Once reaching a set of doors at the end of the corridor, Broak carefully opened the a door to see some morning light streaming into the room... and that's when the bats attacked. A swarm of bats rushed out of the now open door, engulfing Broak, and eventually Audrey, but the party made short work of them. Entering the room, they found what appeared to be an old lift-room, a chamber the dwarven inhabitants would use to raise and lower equipment to and from the surface. There was a collapsed tunnel to the north, and two small "kobold holes" in the walls. Grabby, wise as he is, decided to take a few steps inside one of the holes. Unfortunately, Broak had been using one of the broken trap spears to tap on the floor to search for traps, and this seems to have attracted the attention of two hungry giant centipedes. Emerging out of the dark they lunged at Grabby as he fell back to stand next to Broak. As he did this he yelled out a warning to his friends, "Guys! There's a...er... just wait, you'll see!" The two creatures attacked both Broak and Grabby, poisoning Grabby. The two quickly killed the two giant vermin, and decided to take a short rest so Grabby could recover from his wounds.